Once upon a time in another world, I had a book called The Philosophy of Science that I developed a weird relationship with. First time I read it as a young boy, I thought it was bizarre; I was going for the science and ended up reading arguments piled over counter arguments. But with time I realised this made sense, revisited that book several times, and have grown fond of the complicated scene it exposed before me. Explaining what makes science different to other philosophies is no easy feat! Years went by and that book got lost as I skipped several continents across the world. 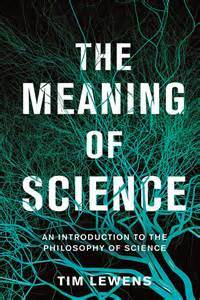 Then I bumped upon this book called The Meaning of Science, and immediately thought that, hey, here is a great opportunity for me to revive old acquaintances. Only that this did not turned out to be the case. The Meaning of Science is split into two parts, each with its own allegedly standalone chapters (I say allegedly because while the book may claim chapters can be read out of order, I did find inter references). The first part aims to establish what science is, philosophically, and the second tries to discuss the implications of that through practical examples. However, right from the word go, with its discussion on science vs. pseudoscience, The Meaning of Science lost me. I understand philosophy can be a complicated affair, but I could not understand was that first chapter’s message - did it tell me there is a way to tell pseudoscience apart from science or did it argue the two are indistinguishable? Whichever way the author had intended to be, the whole book is quite poor on the readability department. So much so it made it hard for this reader to tell the chaff from the wheat; or, more importantly, be able to critically assess the examples used by the book. I admit it entirely possible The Meaning of Science is a book way above my current intellectual capacity. However, even if that is the case, it only proves this is not a book that qualifies as a good dose of popular philosophy to the intermediate reader seeking to learn philosophy the way one learns science from a popular science book. I therefore award The Meaning of Science 1 out of 5 crabs.